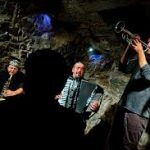 The name was chosen to state the musical choice of a trio accros the border (whose components come from the mixed Italian-Slovenian area between Trieste and Ljubljana): a rootless digression into ethnic music seamlessly swinging from Balkan melodies – their authentic cradle-, world music and our own releases. We individually boast numerous and prestigious collaborations with international artists. 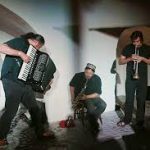 As a trio, we have performed in numerous festivals and events in Europe: The Clous Festival (Albania), MantovaJazz (Italy), Festival Lent (Slovenia), Udine Jazz (Italy), Szentgotthard jazz festival (Hungary), Rosenthal EtnoFest (Austria), Sankt Jakob Folk Musik (Austria), Domžale EtnoRock Festival (Slovenia), Premio Andrea Parodi – Quartu Sant’Elena (Cagliari, Italy), MEI-Faenza, Tavagnacco Jazz Festival (Udine, Italy), Across the Border (Gorizia, Italy). Moreover we have collaborated with Tamara Obrovac, Vlado Kreslin, Daniele D’Agaro, Emil Krištof, Karen Asatrian, Extra3 and many others. Musician, composer and music teacher. 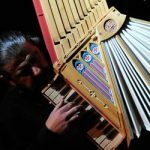 He started his accordion studies with prof. Stane Malič . He graduated at the Conservatory A. Stefani in Castelfranco Veneto. At the same time he studied double bass at the Conservatory G. Tartini in Trieste. Master courses with famous professors, such as: Wladimir Zubitski, Friedrich Lips, Wolmer Beltrami, Gervasio Marcosignori etc. In the second half of the 90s, he began his concert activity and performed with numerous groups and orchestras, such as: Evasion, Extra3, The Original Klezmer ensemble, Mitteleuropa salon orchestra, Trieste Philharmonic Orchestra, Alfredo Lacosegliaz etc. 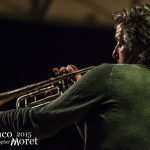 Concerts and festivals: Boston, Berlin, Belgrade, Rome, Avellino, Ljubljana, Venice, Torino, Fiesole, Livorno, Bologna, ReggioEmilia, Ancona, Castelfidardo, Genova, Cinqueterre, Trieste, Gorizia, Udine, Pordenone; concerts in Austria, Croatia, Bosnia and Herzegovina, Serbia, Hungary, USA, Germany, Belgium, Switzerland. Collaborations: Vlado Kreslin, Gino D’Eliso, Bruno Lauzi, Tosca, Tinkara, Tamara Obrovac, Vladko Stefanovski, Paola Chiabudini, Marko Feri, Valter Sivillotti, Martina Feri, Sandro Massimini, Daniele D’Agaro, Claudio Cojaniz. He studied violin with Federico Agostini at the Conservatory G. Tartini in Trieste. 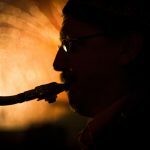 He also studied saxophone with: Edi Meola, Gabriele Centis and Nevio Zaninotta. Master Classes: Gianluigi Trovis, Roberto Bonisola, Florian Bramböck, Peter Epstein, Amedeo Tommasi and Quartetto Accademia. Collaborations with renowned artists, orchestras and institutions: Etnoploč, UNIKUM, Aleksander Ipavec, Matej Špacapan, Vlado Kreslin, Tamara Obrovac, Karen Asatrian, Emil Krištof, Claudio Cojaniz, Brenda Rattray, Severina, Fabio Mini, Goran Krmac, Flavio Davanzo, Riccardo Morpurgo, Luca Colussi, Dej še’n litro, D-fact, Sami Hawat, Donald Trumpet, Niente Band, Paolo Rossi, Vinicio Capossela, Bebo Storti, Pupkin Kabarett. Trumpet player, conductor and music teacher. Diploma in trumpet – Academy of Music, University of Ljubljana, Slovenia. Training and master classes: Stanko Arnold, Pierre Thibaud, Bo Nilssen, Paula Holcomb. 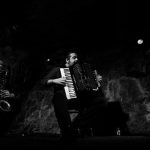 Collaborations and projects: Etnoploč, Arakne Group, Francesco Salvi, UNIKUM-Universitaetskulturzentrum, Extra3, Extra World, The Original Klezmer Ensemble, Giorgio Pacorig, Magnifico, Vlado Kreslin, Aleksander Ipavec, Tamara Obrovac.